99Designs has made a name for itself as a market where artists compete to win projects. Now it is expanding into book design. I just got a press release this afternoon with the news that publishers (authors, if you publish your own works, you are a publisher) can now hire interior designers, illustrators, and cover designers through 99Designs. I haven't had a chance to explore all of it, but I am impressed with the cover design process. 99Designs asks for a lot of detail from the author, enough so that the designers should be able to understand the book, author, and genre. But I can't say the same for the steps to choose an interior book designer. While I am sure they are competent, I just don't see enough detail for an author to be able to decide whether a designer's style would work with the author's book. The price for a cover varies between $200 and $800, while the cost of an illustration will obviously vary based on the complexity of the book and the number of illustrations, and the same is also true for the interior design. You can find out more on the 99Designs website, or in the following press release. 1 - Filling out a simple and visually intuitive creative brief outlining their specific needs and preferences, and choosing a budget for the project. 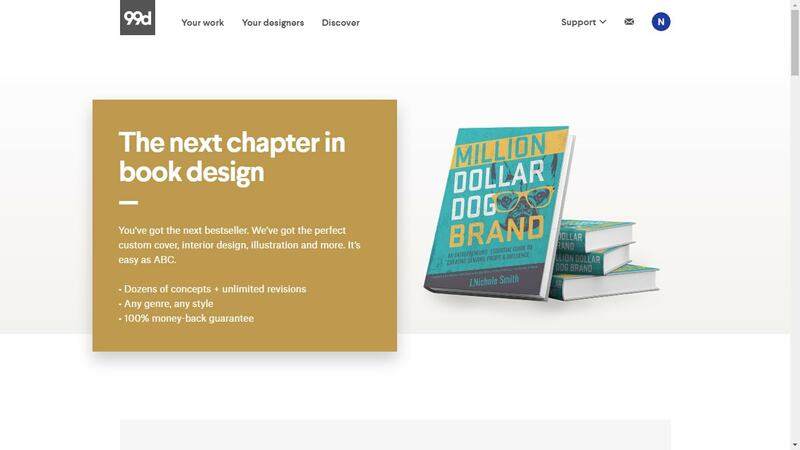 2 - A customer receives dozens of design options from vetted, professional designers, and provides feedback to these designers to guide the process. 3 - Seven days later, a customer chooses from a group of finalists and chooses their favorite.